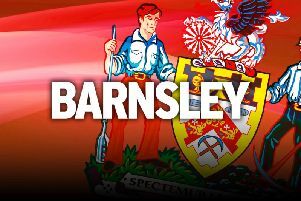 Barnsley shot-stopper Adam Davies is not afraid of a new keeper pushing him for his number one jersey at Oakwell. The Reds have been linked with a move to sign Oxford United goalkeeper Simon Eastwood in the current January transfer window. Eastwood has impressed with nine clean sheets for the U’s in League One – and Reds’ head coach Paul Heckingbottom is keen to bolster with another keeper to push Davies to improve. The League One outfit have also signed American Brad Stuver on loan for the rest of the season - with Eastwood expected to leave this month. “Any competition is good, it will make me challenge myself,” admitted Davies. “A new keeper would make me train harder and work harder to make sure I keep my shirt. “I don’t worry too much about other keepers, I just worry about myself and what I can do. Davies has impressed with four clean sheets of his own in the last eight games. And he has a tough task in front of him this weekend in the form of seventh-placed Fulham - who hit Burton for six at Craven Cottage last time out. “Keeping clean sheets is always the basis for being successful, it’s been good to have had a few,” admitted Davies. “It’s been a good change around, we’ve worked hard on it on the training field. “A lot of the improvement is down to application from every individual. Communication between each other is a massive help too. “We’ve had a settled back four over the last few games, which has really helped. “And of course we’re getting to know each more so you can kind of gauge whether someone will head the ball, whether they’ll come short or push on and whatever. *Brighton and Hove Albion are believed to be interested in signing Barnsley defender Liam Lindsay for £6million. Former Patrick Thistle centre-back Lindsay has become a mainstay of the Reds’ side this season and impressed at the heart of Paul Heckingbotton’s team’s defence. If the Premier League Seagulls do lodge a successful bid for the player in this month’s transfer window, then the Jags would be eligible for a £600,000 windfall having agreed a 10 per cent on clause with the Championship side last summer. Lindsay, 22, has played 26 times for the Reds this season and only picked up two bookings. The player penned a three-and-a-half year deal with the Reds in June last year having rejected an offer from Oxford United to join the club.